Packaging : Dual Cases 10Pk. 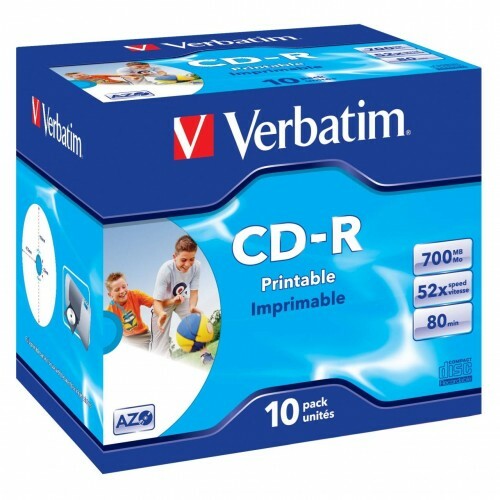 These Verbatim CD-R discs are ideal the storage medium for recording and sharing any combination of digital images, music, desktop files, and more. Even better, the silver CD surface permits full-color, high-resolution, photo-quality printing.